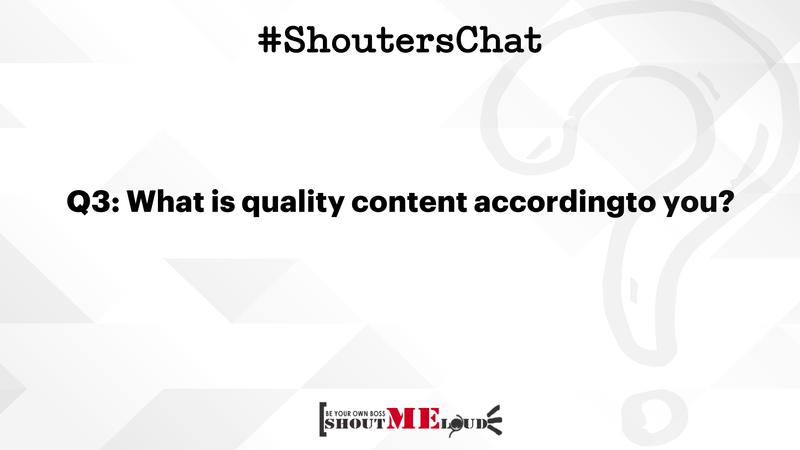 This week on #ShoutersChat, we discussed about writing good content. We talked about everything from how to get content ideas to how to make your content interesting. So, the topic of discussion was: “Writing good content for your blog”. Writing good content is very important while blogging. Content is pillar of every blog and if you write good content, it’ll be easier for you to build an audience. The better your blog content is, the more people are gonna love reading it. Hence, a blog with good content is important to build a loyal fan following and to get people sticking to your blog for more. 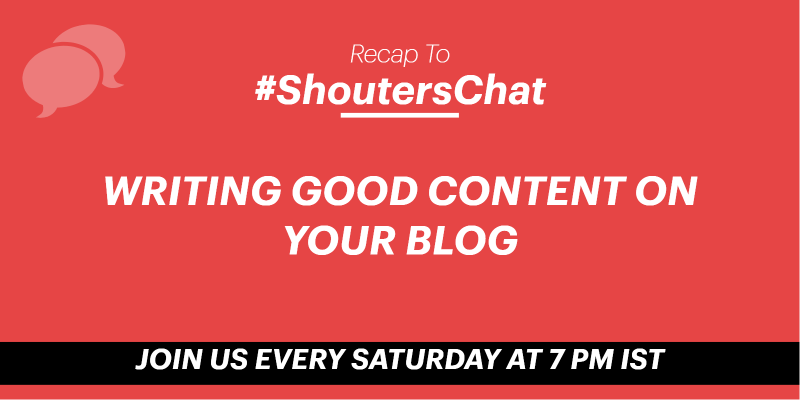 Bloggers from around the world discussed about writing good content on #ShoutersChat and we had productive talks for about an hour. 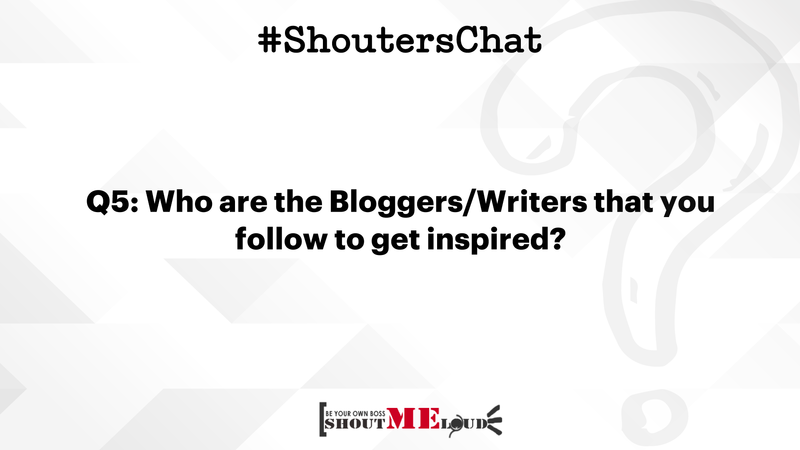 Bloggers get to help each other and network with each other through #ShoutersChat. Here is a recap of each question and top answers by the Shouters. Q1. 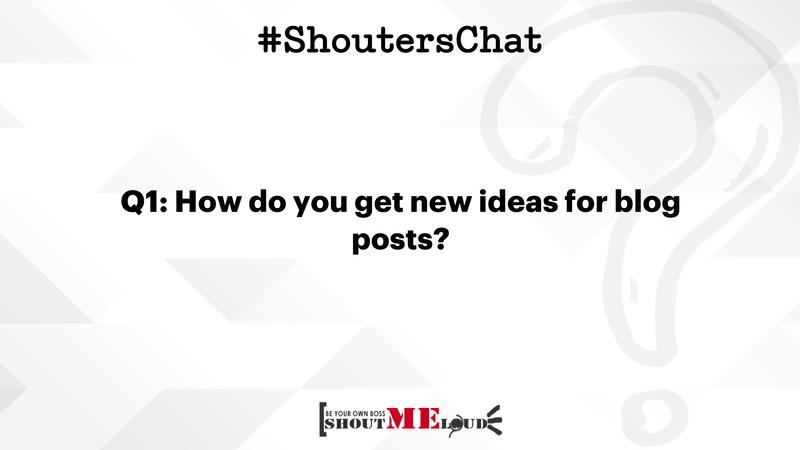 How do you get new ideas for blog posts? Q2. 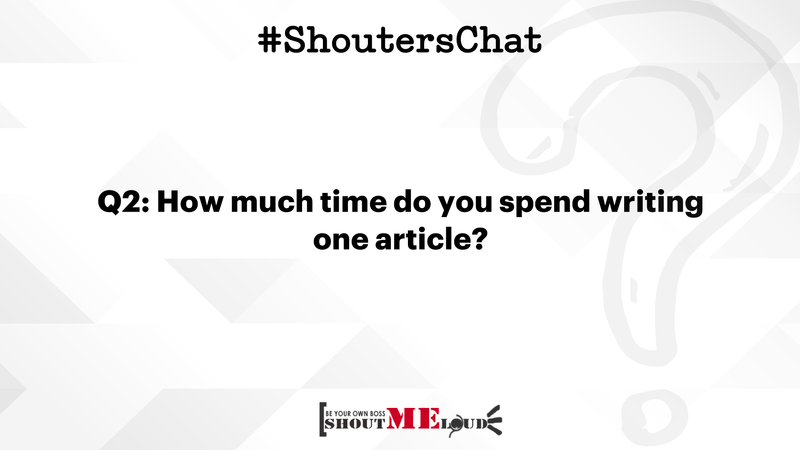 How much time do you spend writing one article? Q3. What is quality content according to you? Q4. 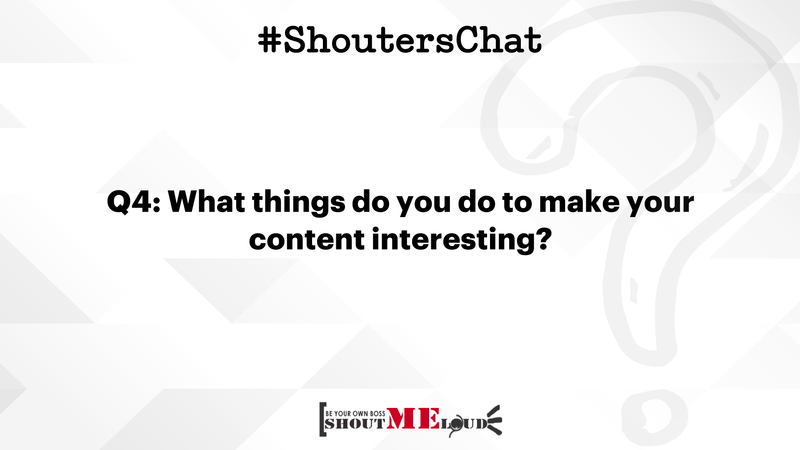 What things do you do to make your content interesting? Q5. Who are the Bloggers/Writers that you follow to get inspired?